We’ve walked more than a mile in your shoes. Patrice has dedicated her career to helping marketing organizations adapt to the rapidly evolving martech landscape. She began her career with roles in both sales and marketing, and became an early adopter of marketing automation. Year after year, marketing executives expressed to her the need to find skills that could connect the dots between strategy and implementation. In 2015, she assembled a team of experts and co-founded Inverta with that mission in mind. When she’s not out crusading for actionable strategy, Patrice can be found in a yoga studio, on a golf course, or hosting family and friends with yummy food and spirited cocktails by her pool. Kathy considers herself a long-time survivor of the technology industry, bringing over 25 years of sales, marketing and IT experience to her role as Vice President of Consulting at Inverta. Kathy takes a no-nonsense approach to the role of digital skills, processes and tools in today’s complex sale, and her expertise has supported the digital transformations of enterprises such as Citrix, Microsoft, and HP. Additionally, she’s one of the foremost authorities in account-based marketing. Certified by ITSMA as an ABM practitioner in 2007, Kathy has conducted numerous ABM workshops, webinars, and training sessions, and supported the ABM efforts of over one hundred organizations. When Kathy isn’t traveling the world, she enjoys a top-shelf vegetarian breakfast taco at her home in Austin, TX. Ann is a veteran Marketing practitioner with over 25 years’ experience at startups in publishing and digital media. Her background is rooted in real world experience implementing marketing automation and related marketing technologies to generate revenue. For the past five years, Ann has leveraged her expertise in lead generation, metrics-driven planning, and performance optimization for over 50 clients across multiple industries, verticals, and channel environments. Ann lives in historic Portsmouth, NH where she can often be found running along the coastline or entertaining friends on her rooftop deck. Cynthia began her career working for large banks and specialty insurers, before launching her own boutique marketing agency MarQuest Group. 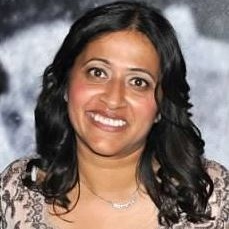 Following, she steered her career toward B2B global technology and software marketing. Over the past decade, she led global marketing initiatives for Kofax, Citrix and LogMeIn, working alongside B2B marketing automation pioneers, including her now Inverta colleagues, on transformative projects like marketing automation platform migrations, full-funnel demand gen and demand center installations. Throughout her 25-year career, she’s gone through countless mergers, acquisitions and reorganizations, mobilizing cross-discipline teams to help them find a common framework for moving the business forward. She joined Inverta in 2018 to bring her client-side perspective to helping clients deliver results amidst similar org dynamics and market challenges. Cynthia lives in “Surf City USA” Huntington Beach, CA with frequent-as-possible visits to her second home in Vienna, AT. At work and home – especially in the kitchen – Cynthia is happiest navigating uncharted territories. Sharon is a strategically minded marketing professional who has been practicing B2B marketing for over 25 years via client-side, agency and consulting roles. She is a high-tech industry veteran who has seen innovative start-ups through to acquisitions and IPOs, and who has successfully positioned, launched and driven revenue-generating programs for new brands at Fortune 100 enterprises. One of Sharon’s core strengths is developing and implementing integrated marketing programs for demand creation and lead generation: from audience alignment and segmentation, to messaging and content strategy, to channel utilization. Sharon lives in Denver, CO. Besides skiing, camping and hiking in the Rocky Mountains, she loves live music, and enjoys cooking and entertaining with her husband on their back deck under Colorado’s beautiful, sunny skies. unprecedented experience and empathy when she delivers martech and activation advisory. While Mali enjoys all facets of marketing, she’s especially excited to see customers see their strategy come to life by leveraging the best that marketing technology has to offer. In addition to being the best and brightest in martech advisory, Mali is fluent in 3 languages and makes a terrific guacamole. Alden is a can-do innovator who combines his knowledge of marketing with technical skills and an enthusiasm for applied-math to create best-in-class campaigns and solutions. He brings many years of experience in both client-side and consulting roles to bear on the tough marketing questions that many companies face. He excels at ascertaining clients needs, timelines, budgets, and systems to create custom marketing strategies. Outside of work, he enjoys riding bicycles and spending time with his wife and four children in the Pacific Northwest. A self-proclaimed process guru, Erica brings over seven years of experience in the management of sales and marketing operations to her position of Senior Program Manager at Inverta. Prior to joining Inverta, Erica held positions at both EDM and DemandGen where she focused on CRM maintenance and internal processes related to client management, as well as sales analysis and forecasting. Erica prioritizes cross-departmental collaboration, and remains hyper-focused on the seamless management and execution of initiatives across Inverta’s diverse client roster. When she’s not focused on keeping everybody in line, Erica loves yoga as well as food, wine and travel, and spending time with her husband and daughter. JP... gosh, where do we start? Inverta took a flyer bringing JP aboard. If not for his devilish looks and keen gut instincts he'd probably... well, actually that's about all there is really. But on a serious note, JP followed an atypical path to becoming a sales leader. After 10 years on the client services side, he took a career-changing leap of faith to join Bluewolf and eventually DemandGen during the early hayday of marketing technology. With the veil lifted, he gained respect for how the upstream actions of sales impacts the downstream outputs of services. And that's what makes him special to us and the space that Inverta serves. JP is your quintessential sales guy, but for all the right reasons - confident, empathetic, honest. We’re always on the lookout for new talent, so why not give us a shout? We partnered with Kathy from Inverta to help optimize our digital marketing efforts, and she brought best practices from previous implementations to ensure we were successful within the first 60 days. She and her colleagues at Inverta are strategic partners who can dive deep, address implementation questions, and demand results. 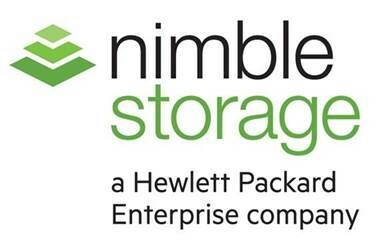 Nimble Storage needed to integrate demand generation technologies to scale pipeline and revenue. While their marketing operations team had already secured tools to support their hygiene and analytics needs, they needed additional vendor recommendations for the delivery of buyer intent data, and the optimization of search and lead capture. Inverta worked with the Nimble marketing team to help create a marketing architecture that ensured all digital channels were optimized for demand generation, reporting, and analytics.